Most business owners or managers are looking for an effective way to improve the aesthetics of their organization. With two decades of experience providing janitorial services to Kansas City businesses, Crystal Clear Enterprise has seen it all. Beyond our regular professional cleaning services, we also specialize in a plethora of specialty jobs as well. While professional office cleaning services can greatly benefit your company’s safety and operations, it often isn’t enough in the long run. This can be especially true for businesses with outdated, fading paint jobs. Today, we’ll look at the benefits of painting your building or office and why you should trust the job to Crystal Clear! Better morale. One developing theme that our blogs focus on is the increased productivity that comes from cleaner, brighter working environments. Employees who come to work at a grimy, dingy establishment will tend to be uncomfortable and therefore less productive. Bringing our commercial cleaning company in to paint can instantly boost the moods and feelings of your employees. When everyone is in a better mood, the overall result is nothing but positive! Sharper appearance. In any highly competitive industry, it’s important to stand out and hold an edge over your competition. A clean, bright paint job can do much to benefit your business. Clients and customers will think more highly of a company that puts the effort in to maintain a clean, comfortable facility. First impressions do hold lasting implications, so it’s important to spruce up those dreary walls. Putting on a fresh coat of expertly chosen paint can tell clients that your business is both professional and meticulous. When you compare it to the impressions brought on by crumbling, dilapidated walls, it’s obvious that our painting services are well worth the effort! Increased value. While most businesses think first of the cost of painting their office, they rarely consider the value that new paint can provide. 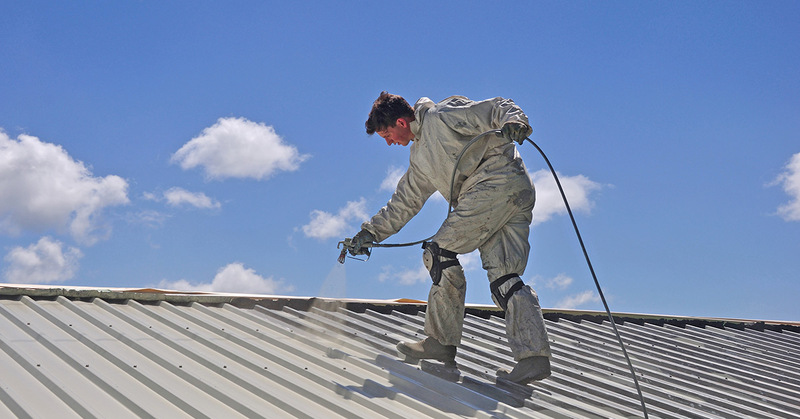 Taking care of your building and commissioning painting along with regular office cleanings will go a long ways in extending the longevity of your structure. When you factor in the increased value of having a clean, quality facility, it’s easy to see why lots of businesses go through the process of repainting their buildings. Convenience. Our team will focus on the task at hand while minimizing the inconvenience on your operations. With a focus on quality and timeliness, Crystal Clear will work hard to get everything done as quickly and as cleanly as possible. Our janitorial company has the experience and tools to provide top-quality painting options along with our commercial cleaning services. Keep your business going strong while we worry about the logistics and efforts required for a quality paint job. While not directly measurable, this convenience can be seen as the culmination of benefits, all of which equate to a more successful business. Crystal Clear Enterprise is your source for the best janitorial services in Kansas City and beyond. Our professional cleaning services are unmatched by competitors and our commitment to customer satisfaction puts us at the top. Painting your office every few years or as needed can do much to benefit the overall operations of the company. If you’re looking for any of our specialty or janitorial services, feel free to contact us today to learn more!